Castro, who was appointed to the Legislative Ethics Commission in November 2017, commended current Legislative Inspector General Julie Porter for the work she’s done. “Julie Porter has done a fantastic job and has helped us greatly in getting this commission’s feet off the ground. I want to thank her for her competence and determination thus far serving as our current legislative inspector general. Pope’s appointment will go into effect March 1, 2019, and will serve through June 30, 2023. Porter will continue to serve in that capacity until Feb. 28, 2019. 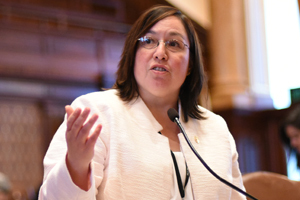 ELGIN – A new state law that goes into effect Jan. 1, 2019, will give children in foster care and under supervision of the Department of Children and Family Services (DCFS) the opportunity to go to college, thanks to Elgin Democrat State Senator Cristina Castro. The law will allow certain youth from DCFS, who file for FAFSA and do not receive a DCFS fee waiver, to have the opportunity to receive a scholarship. The scholarship will cover the remaining tuition and fees for any public institution of higher learning in Illinois. House Bill 5122 passed the Senate and House with bipartisan support. 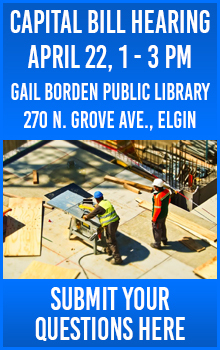 ELGIN – Starting Jan. 1, 2019, nurses will now be protected under the Healthcare Violence Prevention Act thanks to State Senator Cristina Castro’s new law. The new law creates the Healthcare Violence Prevention Act to protect health care providers, puts in place a violence prevention program and adds whistleblower protections for nurses who report violence to law enforcement. 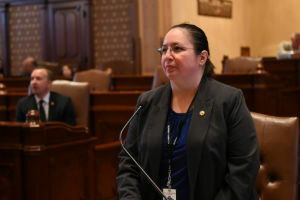 Castro introduced the legislation in response to an incident that occurred in Kane County on May 13, 2017, at Delanor Hospital. Two nurses were taken hostage by an inmate undergoing treatment who managed to obtain a handgun. House Bill 4100 passed the Senate and House with bipartisan support. Enroll in a health care plan today! With the new year approaching, I wanted to remind you that the health insurance marketplace is currently open for enrollment though Dec. 15. 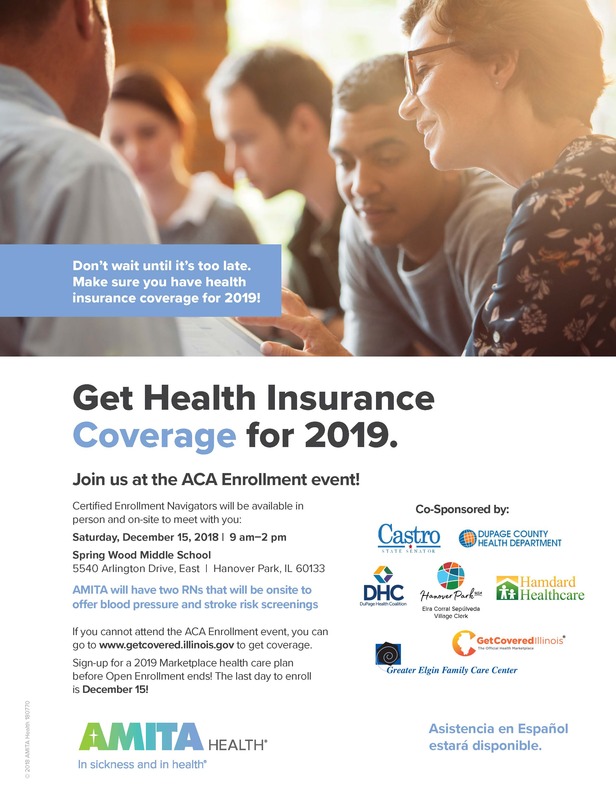 There will be certified Enrollment Navigators available in person this Saturday, Dec. 15 from 9 a.m. - 2 p.m. at the Spring Wood Middle School, located at 5540 Arlington Dr. in Hanover Park. AMITA Health will also be in attendance and will be offering blood pressure and stroke risk screenings. To enroll, re-enroll or shop for a health care plan that is right for you, visit www.healthcare.gov or go to www.getcovered.illinois.gov to get coverage. Financial help may be available for those who qualify. The last day to enroll is Dec. 15, so don't wait until it is too late.